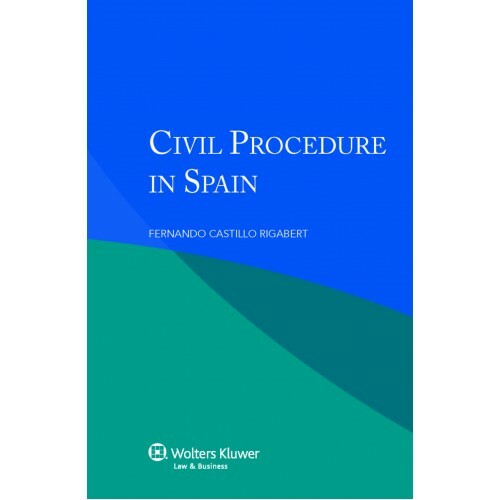 Derived from the renowned multi-volume International Encyclopaedia of Laws, this convenient volume provides comprehensive analysis of the legislation and rules that determine civil procedure and practice in Spain. Lawyers who handle transnational matters will appreciate the book’s clear explanation of distinct terminology and application of rules. The structure follows the classical chapters of a handbook on civil procedure: beginning with the judicial organization of the courts, jurisdiction issues, a discussion of the various actions and claims, and then moving to a review of the proceedings as such. These general chapters are followed by a discussion of the incidents during proceedings, the legal aid and legal costs, and the regulation of evidence. There are chapters on seizure for security and enforcement of judgments, and a final section on alternative dispute resolution. Facts are presented in such a way that readers who are unfamiliar with specific terms and concepts in varying contexts will fully grasp their meaning and significance. Succinct, scholarly, and practical, this book will prove a valuable time-saving tool for business and legal professionals alike. 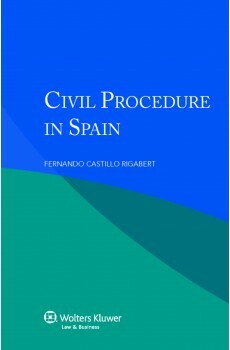 Lawyers representing parties with interests in Spain will welcome this very useful guide, and academics and researchers will appreciate its comparative value as a contribution to the study of civil procedure in the international context.